India lost the best-of-five tie 1-3 with only Lakshya Sen winning a match. India lost to Korea for the second straight year in the quarter-finals of the BWF World Junior Mixed Team Championships, after conceding a 1-3 lead in the best-of-five tie on Thursday. Junior world No 4 Lakshya Sen was the only shuttler who could win a match for his team and even he had to overcome a sluggish start against the 249th-ranked Ji Hoon Choi. In the first match of the tie, Dhruv Kapila combined with Tanisha Crasto to play the mixed doubles against Na Eun Jeong and Chan Wang. Dhruv and Tanisha are not a regular pair but still did well to win a tight first game 22-20. However, the new Indian pair completely collapsed in the following two games, losing them 14-21, 12-21 to give Korea a 1-0 lead. Sen then lost the first game against Choi 16-21 after committing far too many errors and at that point it seemed as though India would be crashing out without a single win. 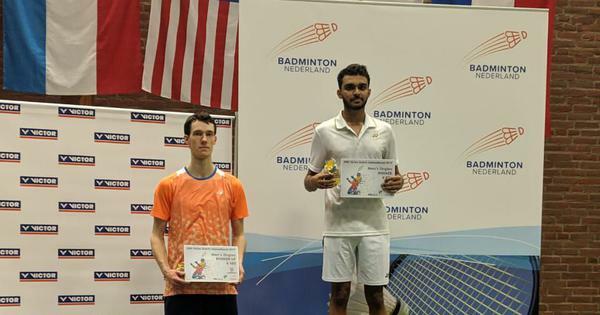 However, the 17-year-old Indian then recovered well to take the next two 21-18 and 21-13 to bring his team level 1-1. It was then the turn for Dhruv to play with his regular partner, Krishna Prasad, in the men’s doubles rubber. Dhruv and Krishna, ranked eighth in the world, did well to win the first game 21-19 against Tae Yang Shin and Chan Wang before the Koreans took the next one by a similar margin. Hopes of a thrilling decider were trashed as Dhruv and Krishna completely capitulated in the third game, losing it 11-21 to hand Korea a 2-1 lead. Lakshya and Dhruv-Krishna were India’s best chances of a win and with one of them losing, it was going to be very difficult for India to win the tie. That’s how it turned out as Malvika Bansod gave it her all against world No 30 Ga Eun Park but lost 17-21, 12-21 to concede the tie. India then headed to the fifth-to-eighth-place classification rounds where they first took on Denmark. India beat Denmark 3-2 to move on to the fifth-sixth place classification round, where they await the winner between Malaysia and Chinese Taipei. Dhruv and Krishna played the men’s doubles match again, against Denmark, as they beat Mads Muurholm and Mads Vestergaard 21-18, 21-15. Gayatri Gopichand, 15, was then asked to play the women’s singles match against world No 15 Line Christophersen. Gayatri did well to take the higher-ranked Dane to three games but lost 16-21, 21-11, 13-21. Kiran George then gave India the lead again by beating Oscar Sunekaer 21-13, 21-8. However, Gayatri and Tanisha then lost the women’s doubles rubber to Amalie Magelund and Freja Ravn. It was then up to Srikrishna Sai Kumar Podile and Srishti Jupudi to win India the tie and they did so by coming from behind to beat Rasmus Espersen and Christine Busch 12-21, 21-17, 21-19.